Axis Bank chief Shikha Sharma has said called for creating a better credit culture for the long-term benefits and opined that one way to achieve that is to debar defaulting promoters from bidding for their assets during insolvency proceedings. 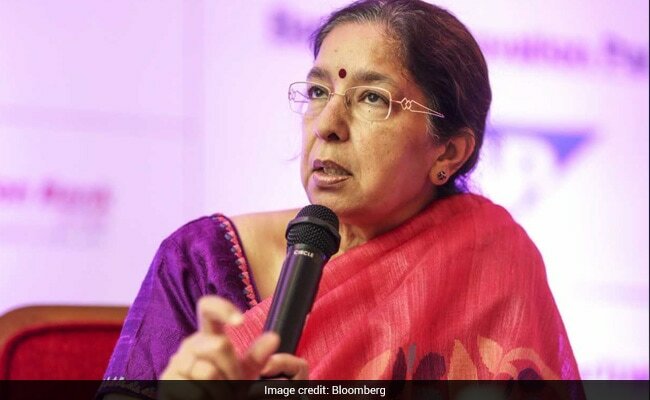 Mumbai: Axis Bank chief Shikha Sharma has said called for creating a better credit culture for the long-term benefits and opined that one way to achieve that is to debar defaulting promoters from bidding for their assets during insolvency proceedings. With the Reserve Bank doing away with all the past dispensations to resolve the bad loan problem, and voting for initiation of insolvency proceedings against erring borrowers, there is a need to strengthen the National Company Law Tribunals (NCLTs), she said. "Certainly a lot more cases are going to go to the NCLT; so it is important that their capacity is expanded so that they can deal with all cases," the managing director and chief executive of the third largest private sector lender told PTI in an interview recently. Sharma said there is "some conversation" on this aspect already and added the RBI would have kept such a requirement in mind already. She said the promoters of companies against whom banks have initiated insolvency proceedings should be kept out of the bidding process for the same assets for the long-term benefit of improving credit culture. A short-term goal for banks would be to look at maximising the value from the assets which are being put up for bidding and that can happen by allowing the promoters to bid for the assets, while from a longer-term perspective getting the right credit culture where every borrower repays is more important, she said. "I believe in the long-term as opposed to the short- term. You can take some pains in the short-term as long as the right things are happening in the long-term," Sharma said. She said the NCLT-based resolution mechanism is aimed at "doing the right things for the medium- to long-term". Axis Bank's strategy is also aligned with the same thought of ensuring gains in the long-term, she added. The comments come even as reports say that in case of Essar Steel, one of the earliest and the largest accounts mandated by the RBI to be resolved through the NCLT, the promoter Ruia family has teamed up with the Russian lender VTB to wrest back the company through the bidding. Essar Steel has a debt of over Rs 45,000 crore and a joint venture of Arcelor Mittal and Japanese alloy major Nippon Steel is the lone competitor for the Ruias' bid being done through a firm called Neumetal in which a Ruia family member owns 25 per cent through a Mauritius-based trust. When asked if promoters are getting a backdoor entry by teaming up with other investors and where does that leave the concerns on credit culture, Sharma said, "I think we are jumping the gun." Sharma also welcomed the NCLT process as a very strong and responsive mechanism which has shown a willingness to change if there is a need. "One should recognise NCLTs for the fact that it is seldom that you see that a legislation gets written and implemented as quickly as NCLT...In the next three-four months we'll have a better idea of exactly how the whole NCLT process has worked," she said. When asked about the loss of credit culture through farm loan waivers across various states, Sharma acknowledged about the difficulties but declined to elaborate. "Every time there is a talk of farm loan waiver, there is an increase in defaults on agricultural loans because people feel they don't need to pay up. We live in a complex economy," she said. "There is a big debate out there on growth versus inclusion. I don't know whether anybody has the right answers. You have had Communism, Socialism, capitalism...I don't think if we have a clear winner yet."